In the late 1990’s and early 2000’s the Louisville metal scene thrived thanks to a few great local acts. 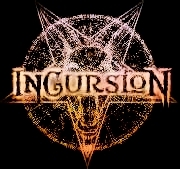 One of those acts was the brutality laden power-groove-metal band Incursion. Being at an Incursion show or even band practice would put you in some kind of odd upbeat, energetic form of a trance with the dueling and seemingly possessed vocals of their two vocalists, (or co-vocalists as I would refer to them) of Van Avery and Tim (aka Stem) Holder along with the demonic and brutal guitar riffs and head banging drum beats. You couldn’t help but have your soul and body become a part of the eerie, powerful groove metal sounds. I will be writing more about them within the next couple of weeks, as they have announced they are working together once again and will see the stage and re-issue their complete cd catalog. For those who live outside of the city of Louisville and state of Kentucky, and like some good groove oriented metal I just wanted to share with you some of their music for now… check them out. 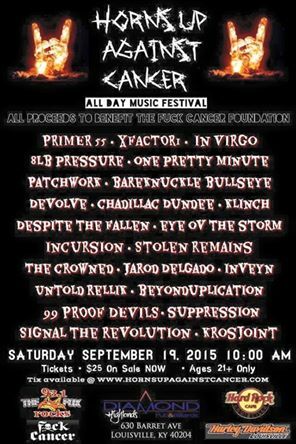 If you like what you hear, like them on Facebook here.